Jimmy Akin, from the National Catholic Register, has put some interesting videos concerning the preterist interpretation of the Beast of Revelation on his blog (see here). He goes into some detail on how the practice of gematria was behind the original meaning of the number of the Beast - which encoded the numerical value of the name Kaiser Neron in Hebrew. Understanding gematria is essential for any modern interpretation of this mysterious passage. See also the related post Hebrew 666? "And he said: Let us make man to our image and likeness. ...And God created man to his own image. Jesus emphasized that our times would be faithless and loveless. (Luke 18:8; Matthew 24:12). God is de-throned. In His place, man (born on the 6th day) is enthroned as god (6-6-6-holy, holy, holy). Instead of God, Newchurchers love man, believe in man and focus their hopes and schemings on perfecting man -especially as "community." In replacing God-given, God-required Apostolic Divine Liturgy with episcopal human Bishop Bugnini Liturgy, the first three of God's Commandments are broken. The Pope -- in his official teachings -- is INFALLIBLE. The Pope, HIMSELF, is NOT sinless! He too must pray: "HOLY MARY, PRAY FOR ME, A SINNER, NOW AND AT THE HOUR OF MY DEATH." To consider a Pope and/or bishop to be, in effect, sinless, is to "ADORE" MAN AS GOD AND TO BUILD ONE'S "HOUSE" ON THE SAND OF UNREALITY. Such a mindset is sinful. Such a mindset has prevented the Fatima Consecration, by encouraging the Pope and/or bishops to feel SINLESS in IGNORING, DISSMISSING, and even Lying about or "COVERING-UP" Fatima challenge. ...Preserve your sanity. Preserve and strengthen your spiritual well-being. Renounce the ANTI-FATIMA creed. REJECT the worship of MAN! ADMIT POPES and bishops have DISOBEYED God's command as given through Our Lady of Fatima. The Book of the Apocalypse (written by the Holy Ordered priest, John, the Apostle) is a binding Apostolic, Orthodox Catholic book depicting Divine Liturgy. It was written by Father John the Apostle. He was a priest ordained by Christ to celebrate the Canonized Mass Divine Liturgy. 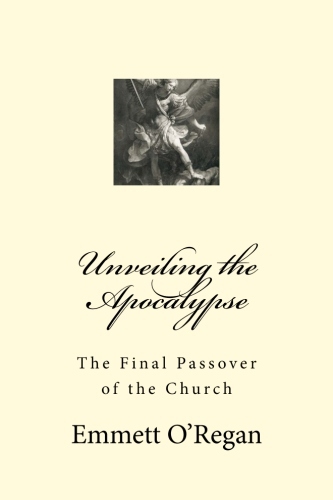 ...Yet, in reading this book, the Apocalypse is filled with "attention grabbing images which attract: horses, seals, books, beasts, harlots, churches at various "places" and like-images are employed "to entertain and hold the interest of the "kiddies" (the "children" of God). However, it is PATHETIC (emphasis is mine in capital letters) when serious students or scholars of the Holy Bible get so obsessed with the "attention grabbers" as to make them the subject matter of God's Word. Idle, fruitless and self-aggrandizing motivations characterize such exegetes.